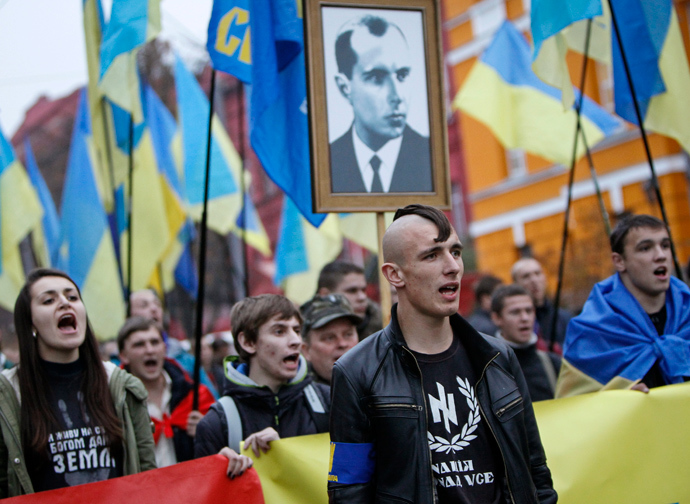 Ukraine’s neo-Nazi opposition marching with a banner of Stepan Bandera, a Nazi collaborator of Ukraine during World War II and vicious anti-Semite. Just hours after Return to the Source published Beer Hall Putsch Leftism: Ukraine & the ISO, America’s least favorite Trotskyite organization double-dipped and released another article about the Euromaiden protests in Ukraine that recently drove President Viktor Yanukovich from power. This time, International Socialist Organization (ISO) member Sean Larson was joined by Trotskyite relic Alan Maass in an equally backwards piece, A political earthquake in Ukraine. First, an admission: After three years of writing Return to the Source sporadically, I’m getting tired of roasting the International Socialist Organization (ISO) and tearing apart their positions. The criticisms of their social chauvinist lines on Libya, Syria, China, the Democratic People’s Republic of Korea and other countries targeted by imperialism seem to be popular with readers, evidenced by the hundreds of hits this blog still gets despite a long period of inactivity. At the same time, all signs point towards the ISO discrediting itself and losing ground with leftists around the country. For instance, it’s hard for me to believe that anyone, except the most die-hard cruise missile ISO member, reads Gilbert Achcar’s recent article, What remains of the Arab Spring? and thinks anything besides, “This is a sad, irrelevant man who can’t recognize reality.” The ISO’s bizarre brand of social imperialism is still dangerous, but it’s discredited itself, most notably with regards to Syria.